Just because I stumbled across it on my Flickr and felt like posting it. The light was awful, the editing is equally bad; it’s far, far from being a great photo. But I was struck by the fact that despite living here for 17 years, walking these same streets day in, day out, one quick flight with the Mavic and I saw a view of the place that I had never ever seen before. 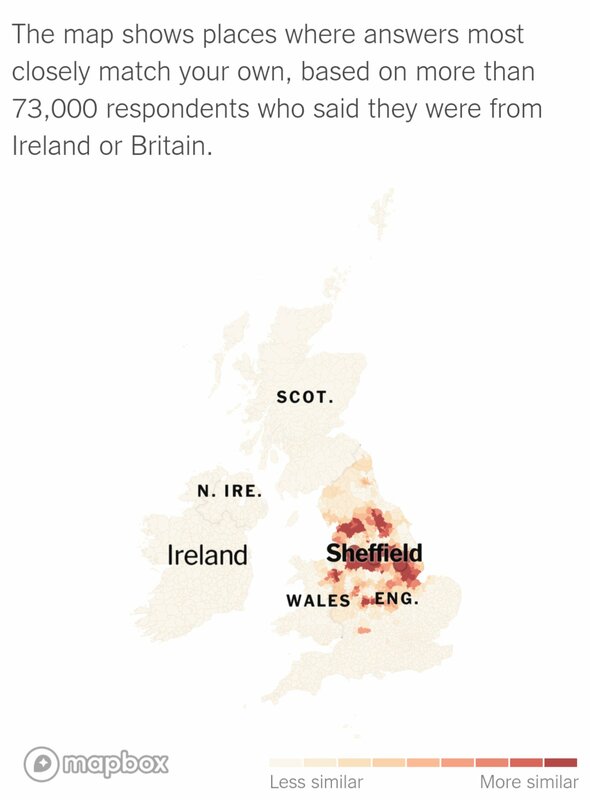 I love that it gives the impression that the A57 is some near-Parisian tree-lined boulevard, and that my childhood suburb is perched on a cliff overlooking the City Centre. Neither of these things are true, of course, but looking at this here, they could be. There are currently no plans for a return visit to Sheffield in the foreseeable future, so any vernal version of this shot will have to wait. 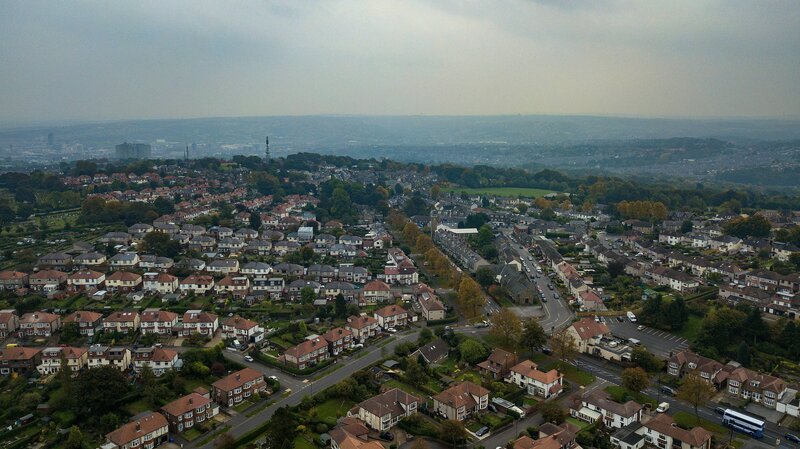 If you want to see more aerial views of suburbia (and more) from our visit last September, you can find them in my Sheffield 2017 Flickr album. Ja. Not mine, obviously. And not here either. The dawn chorus currently starts at about 4:40am in Cape Town at the moment, about an hour ahead of official sunrise. So you’ll hopefully forgive me for being in bed at that time. Fortunately, there are others who (albeit with a later start) are willing to go out and get that shot of the sunrise. 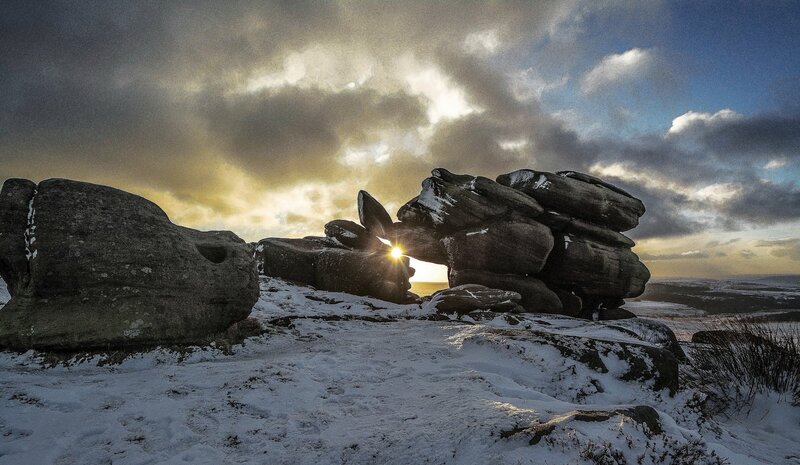 Like this one of Higger Tor in in the Peak District. The rocks you see are millstone grit. 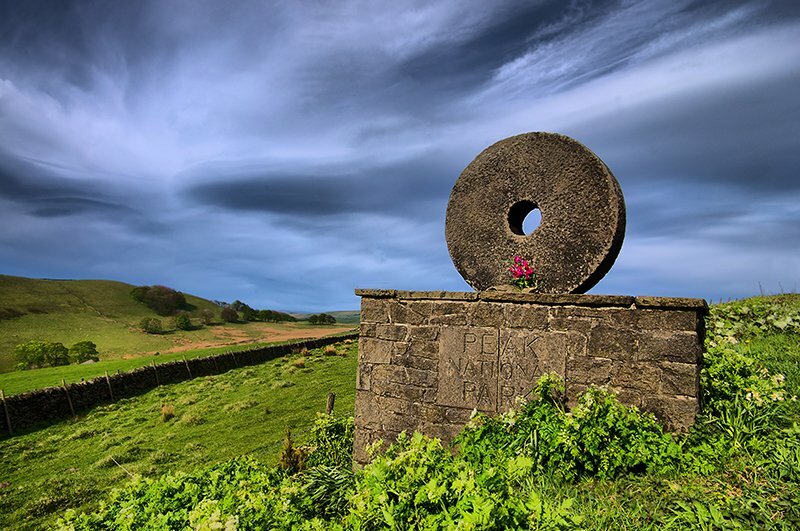 They’re coarse-grained sandstones of Carboniferous age and were used to make… wait for it… millstones(!) for use in the local water mills (and they gave the National Park its logo). If you’re into your geology, there’s loads to learn right here. These dark rocks give the name to the “Dark Peak”, whereas the “White Peak” further south in the Park is characterised by its light-coloured limestone geology. 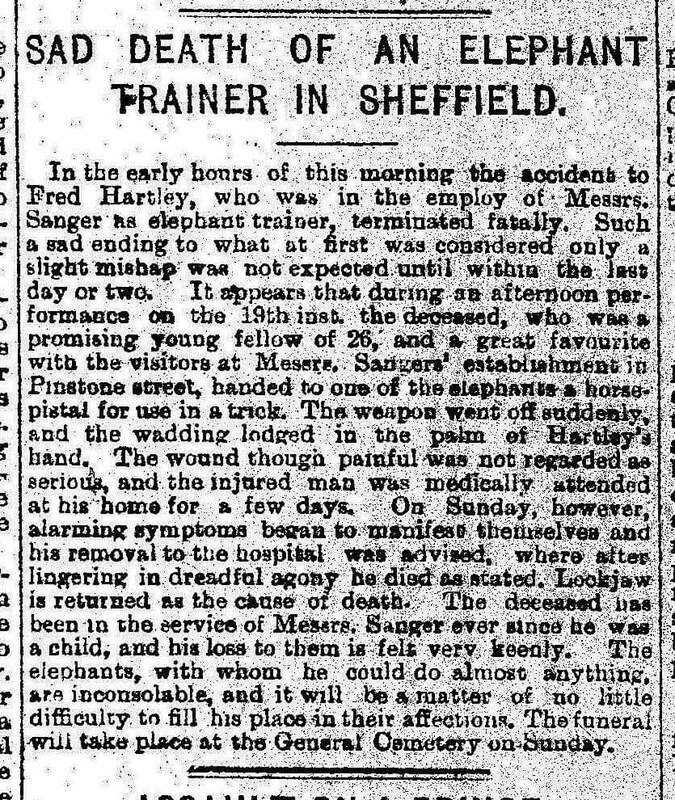 This photo was taken less than 15km from my family home in Sheffield. But I would still not have got up in time to take it.